The season is fast approaching and we have lots of exciting things planned for this year - so keep an eye out on the Facebook page and your email inbox!! The senior team have completed their indoor league season and are now concentrating on weekly training sessions at Colfox School on Wednesday evening's from 8-9pm. A higher emphasis will be placed on team training this summer with the intention to improve standards and mount a promotion challenge. We are having a senior team social at the Fleet Club on 18th April to include snooker, darts and food from 7pm. 5 pounds a head. Please contact Ross if you can attend. We are down to our last 2 games in the indoor league. This weekend will be our toughest 2 games against Marnhull (unbeaten) and Martinstown but it looks like we will have a strong team so looking forward to making it competitive. Our outdoor training starts on the 10th May - with a Pizza and Prosecco (or pop!!) recuitment night. 6pm onwards - open to all - please spread the word. Outdoors - this year we have entered a softball league and the usual softball festivals. Heaps of things for us to take part in - so an exciting year ahead!! Youth training continues on Saturday mornings - 10-11. Our Registration night will be on the 26th April - a chance for your children to sign on for the season - but also for you all to have a chat with all of us and ask any questions you may have. A full list of fixtures including senior and youth teams can be found on our website: beaminstercricket.co.uk. Our 2019 fixture card will be available in the next few weeks. Our quiz night is being held at the Pavilion on 23rd March. 4 to a table- 5 pounds a head. Trying out our new pizza oven - so definitely worth coming!! Don't forget we are one of the chosen organisations for Co-Op funding this year. If you have a Co-Op card please choose us as your option. You can do this on the Co-Op website. - We are seeking sponsorship and Vice President donations before the start of the season. Please contact N. Bareham for information. Preparations are underway for what looks like another exciting and chocablock season for all parts of our club. - U14s and U16s Mid Wessex fixtures can be found on our website. U14s have 10 league fixtures and at least 1 cup game. The U16s play 8 league games and at least 1 cup game. - The paper collection continues this year with only large quantities being collected, so please let us know and we can arrange collection at your convenience. The skip will be in Bugler's yard on the first weekend of every month for you to put your own personal recycling in. - Sponsorship - we are looking for sponsors for 2019 season. We are asking for a 25 pounds donation, logo on website, fixture card, matchhday board. Contact Nikki Bareham for further infomation. - Youth indoor training continues on Saturday mornings 10 - 11am - please bring a jumper as if the weather is fine we will be outdoors. - Beaminster Women and girl's training has started again after a winter break. 6.30-7.30 - all new members welcome - any ability..we had 3 new starters this week with a few more due next week! Loads of exciting oppotunities in the pipeline this year, with our first indoor tournament on the 3rd of February - with 2 games being played. Good luck Beaminster Bumbles!! - Net area - work has continued throughout the winter. It should be ready for use by start of May. - Cricket Week date has been set for 8th - 14th July. Fixtures to follow - with an exciting finale on the 14th planned!! - Co-op funding - please register your cards. - Quiz night on the 23rd of March in the Pavilion. 20 pounds per team entry (4 to a team) Food included. Please let us know if you would like to enter a team. - We are always looking for new ideas for fundraising or community involvement - so any suggestions or offers of help are always gratefully received. We have so many more social occasions planned this year - and with our new catering equipment (including a pizza oven!!) all funded by a grant from the ECB via a World Cup grant, we want to spread the word and make them open to the wider community. A quieter few months for Beaminster Cricket Club, but still lots going on behind the scenes! Beaminster Cricket have been awarded his cup from the Dorset Cricket League for all the community work the club have participated in this year and for going above and beyond playing cricket. This is a massive achievement for the club and something we should be very proud of. Well done everyone. Beaminster Cricket held a well attended AGM on Monday 12th November. The following will be the committee and additional roles for the next year. A huge thank you to our committee members that are standing down - to Marcus Chambers, Hugh Rathbone and Shaun Annetts. Your support and hard work over the years has been hugely appreciated. Training has begun on Fridays at Beaminster Sports Hall. 6.30 - 7.30. Indoors training so not weather dependant. 2.50 a session just to cover the hall hire cost. New members very welcome - open to all abilities. Youth training has started on Saturdays 10 - 11am - 3 pounds to cover the hire cost. Beaminster 3G pitch unless it is bad weather - then it will be indoors. Please bring a jumper!! Our next big fundraiser is on Wednesday 28th November at Beaminster Town Hall. Doors open 7pm - eyes down 7.30pm. Loads of great prizes and loads of chances to win!! Spread the word!! Donations and offers of help very welcome. Beaminster Cricket will have our usual stall in the square on 30th November. Burgers, hotdogs, mulled wine and mince pies. Should start about 5ish with the lights going on at 6.30. Come and find us! A big thank you to Buglers for sponsoring the team shirts for the 2019 season. On Saturday 8th September the club held its annual dinner and awards night at the Red Lion in the upstairs function room, a welcome return to that venue. There was a good turnout of around 40 players, partners, members and friends to celebrate the club's season. Following an excellent carvery meal, the presentation started. First up Hayley (Women's captain/coach) and Mel (Women's manager) presented the awards for the Beaminster Women and Girl's season. Champagne moment - the team had talked together and decided that Hayley should be presented with this award - due to consistently being the player everyone loved to watch!! Thanks were also given to Lewis and Neil for their help and advice throughout our season and for also all their support at our coaching sessions. Thanks also to Mel for the organising, nagging and boring paperwork! Champagne Moment: William Moss and Ollie Bareham (last wicket winning partnership at Kingson Lacy). Melanie White for her dedicated work behind the scenes in organising fixtures, events planning and fundraising. Geoff Crabb for his countless hours preparing the best wickets the club has ever had and that are complimented by every visiting team. After several cancellations due to wet ground in the spring, work on our new net area was finally completed in September. A new 15 metre concrete base was laid and an extended net cage has been built by club members. A huge thank you to Sicor for supplying and fitting the net and to the Beaminster Trust for funding the project. Also a big thank you to club members Leo, Chris, Justin, Nick, Rich Burrough, Geoff, Lewis and Ross for completing all of the work, a great team effort! We plan to lay coconut matting on the new base for next season to improve the bowling surface and erect a shed to store equipment. Thank you to everyone that came to our Games Night social at the Fleet Club. Loads of fun playing a mix of Table Skittles, Snooker, Darts and Dominoes. Training will begin on Friday 26th October at Beaminster Sports Hall at 6.30pm. Indoors training so not weather dependant. 2.50 a session just to cover the hall hire cost. New members very welcome and open to all abilities. Youth training starts on the Saturday 20th October at 10am. 3 pounds to cover the hire cost. Beaminster 3G pitch unless it is bad weather - then it will be in the sports hall. Please bring a jumper!! Please could we have a volunteer to cover Marcus' paper route. One Sunday morning ( not a whole morning, 1 hour maximum) a month. We are really struggling for volunteers so any help would be hugely appreciated. Beaminster finished the season with a fighting display at Weymouth in a game which went to the full 90 overs with over 500 runs scored. In the end Weymouth edged the game as a result of which they have won promotion to County Division 1. At the end of a tense and fiercely contested game Beaminster lost out by 57 runs after one of their best batting displays of the season. After winning the toss Beaminster put Weymouth in to bat but came to regret this somewhat. Their openers batted superbly and put on an opening 200 run partnership to place themselves in pole position. Thereafter Beaminsters bowlers took control and wickets and the home side finished on 281-5 with Simon Jones and Dave Persey each taking a couple of wickets with Cameron Lucas nicking the other. On such a true batting wicket this total was not excessive. Beaminsters batters made a decent fist of running down this total but were rarely up with the required run rate. Opener Ali Crawford was in fine form and stroked a rapid 47. Ross Baker (55, passing 500 for the season) anchored the innings and resisted his normal urge to take the bowling apart and almost survived the whole 45 overs. Simon Jones (57) played a classy innings but in the end Beaminster finished on 224-4. A feature of the game was the high extras total 101 including 64 wides, 23 of which were conceded by Beaminster and the remaining 41 by Weymouth. In reality then this was not a 90-over game but rather one of nearly 107. Beaminster finished in 6th position, well behind the leading group of five teams. The two promoted teams -Marnhull and Weymouth will be replaced by Parley 2nds and Poole Town 2nds who are relegated from Division 1. Demoted Kingston Lacy and Stalbridge 2nds will be replaced by Shaftesbury and Puddletown, promoted from Division 3. Ross Baker finished as the teams leading run scorer and bowler, though not quite at the head of each table of averages. Altogether 25 players batted for the team whilst 17 bowled. In addition the following players batted four or fewer times; L Gurd (4-1-49-16.3), N David (3-0-15-5.0), J Gurd (4-0-12-3.0), W Murley (4-0-12-3.0), S Bareham (3-1-16-8.0), H Rathbone (2-0-29-14.5), A Phillips (4-1-19-6.3), F Medley (1-0-0-0), B Earl (3-1-5-2.5), F Rees (2-0-12-6.0), G Moss (3-3-21-no average), O James (2-1-6-6.0), O Boxall (1-0-0-0), A Crawford (3-0-74-24.7). In addition the following players took up to 3 wickets each: N Hollely (3-9-1-9.0), O Bareham (25-132-3-44.0), C Lucas (17-133-1-133.0), C Park (10-46-1-46.0), L Keenan (16-83-2-41.5), J Gurd (6-35-1-35.0), F Rees ( 13-66-3-22.0), C Lucas (12-99-1-99.0), A Crawford (10-68-0-no average). After many years at the crease batting for Beaminster the time has come for the present Newsletter production staff of reporters, editors, proof readers, type setters, columnists, joke writers, secretaries and paparazzi to declare their innings closed. Its time to hand over the reins to the new breed of staff, who will continue to report on BCCs affairs with scorching and intense honesty. The Newsletter is now in the good hands of MW. The Beaminster roller coaster runs on. Last weeks big win was followed by the weekends big loss to Witchampton. It was a dogged effort by Beaminster but on the day they were well beaten. Witchampton won comfortably in 26 overs after chasing down Beaminsters modest total of 111. A Half Nelson score is considered unlucky and this match does not disprove this notion. Beaminster chose to bat on a green and lively surface but never at any stage got on top of good bowling by the home side. Only Chris Park (24) made a reasonable score and everyone struggled in the conditions. The side were finally all out in the 41st over, this slow scoring rate well demonstrating not only the difficulties the batsmen had but also their determination to stay at the crease. The Beaminster opening bowlers failed to seriously trouble Witchampton. It was only when youngsters Will Moss (1-13) and Oli Bareham (1-11) came on that the first and only wickets fell to give Beaminster a bowling bonus point to add to the one for batting. Next up for the final game of the season are Weymouth, a team fighting for promotion. Beaminster Ladies participated on the 18th August in a softball competition at the Aegeas Bowl, home of Hampshire cricket. Teams from around the county took part and Beaminster won two of their four games. The competition, at such a prestigious venue, was disappointing for its poor organisation no scoreboards, no food, 11-year old umpires, inadequate facilities. Nevertheless the day was enjoyable and good contacts were made with the ladies cricketing fraternity. The club is organising a number of socials in the coming weeks. First up on the 8th September is the annual awards night and carvery dinner (beef and turkey) to be held at the Red Lion from 7.30pm. Tickets are 8.50 pounds. Let Rosco know if you are attending. Then on the 29th September at the Fleet Club there will be a pub games night table skittles, snooker, darts and more. Tickets are 20 pounds for a team of four to include supper. In November and December, on dates to be fixed, there will be bingo and whist nights. Plenty to look forward to. Beaminsters roller coaster season continued last week with a thumping win by 10 wickets over Stalbridge 2nds. Good to have a victory but the manner of this one a hopelessly onesided match does not make for exciting cricket. Better a closefought nail biting contest with the outcome in doubt to the end. No fun in getting hammered, no fun in hammering. With so little time spent in the field few got a chance to bowl (4 instead of the usual 6 or 7) and only two batsmen needed to reach the tiny total. Beaminster won their final home game by a country mile against Stalbridge, who have been rooted at the foot of the table all season. They have yet to win a league game. After being asked to bat the visitors top order was blown away by Dave Persey who finished with 3-22. Change bowlers Ross Baker (3-9) and Richie Runyard (4-9) continued the carnage as wickets continued to tumble. Beaminsters fielders played their part by hanging on to seven catches with Cameron Lucas bagging two and Dan Spiller, Simon Jones, Will Moss, Lewis Keenan and Ross Baker getting the others. The innings ended on 59 after 25 overs This total was never going to be a problem and openers Chris Park (29no) and Ross Baker (26no) made light work of the target, reached after eight overs. Beaminsters final two games of the season are away to Witchampton and Weymouth. The home games against both were both lost, beginning the run of four consecutive midseason defeats that put the brake on the teams flying start to the campaign. Its difficult to see Beaminster finishing anything other than in 6th place. Following Beaminster cricket these days is a bit of a roller coaster experience, one week you get the highs of an exhilarating spectacle of big hitting and great bowling and the next it drops down to struggling batsmen and dispirited bowlers. This past weekend it was the trough of the cycle as Beaminster succumbed to a heavy defeat at the hands of Cranborne, a team that twice this season has failed to muster a team at all. Beaminster had another day to forget after falling to a heavy defeat at Cranborne. The weakened team lost by 8 wickets, picking up only a solitary bonus point in the process. A number of senior players were once again absent thereby putting a heap of burdens and expectations on the junior and less experienced club members. Indeed it was difficult for skipper Ross Baker to field a full team for this match. Having won the toss Beaminster elected to bat even though conditions appeared to favour the bowlers. Whether or not this was so, only Lewis Keenan (42, continuing his recent good form) managed to get to double figures. The end came very quickly indeed as bowler C Arnold took 4-2 in seven balls to put the team back in the pavilion for 73 in 21.1 overs. This total was never likely to pose a problem and so it proved as Cranborne raced to 74-2 and victory in 10 overs. Only Ross Baker (1-8) and Will Moss (1-20) did any damage with the ball. It could have been a bit better but the seasons curse of dropped catches raised its head again. The poor weather over Dorset last weekend put paid to the Ladies Softball competition in Dorchester. A great pity as these events are very social and help to spread ladies cricket through the county. This weekend sees the final home match for the mens team against Stalbridge 2nds. Stalbridge have had a difficult season and have yet to win a match. On two occasions they have failed to raise a team and have suffered 60 penalty points as a consequence. The season finishes with away games at Witchampton and Weymouth. After the poor showing against Blandford the previous week the club needed a good game with ideally a victory as well. A much-improved performance provided both of these with a gutsy fighting victory over Charlton Down. Beaminster made an excellent response to last weeks poor showing with a 2-wicket defeat of Charlton Down in a hard fought game. After winning the toss and electing to bat Beaminster bowled and fielded superbly to restrict their opponents to 145 all out. The opening partnership of Dave Persey (2-35) and Simon Jones (1-9) set the tone for the game by taking three early wickets and applying constant pressure with tight aggressive pace bowling. The good work was continued by Aidey Phillips making only his third appearance of the season and returning excellent figures of 4-49 and Ross Baker (1-28). Late resistance from the tailenders gave some respectability to the score before they fell to the bowling of Will Moss (2-18). Much improved fielding with eight catches was a feature of the game especially three apiece for Lewis Keenan and Nick David. Good bowling and fielding restricted Charlton Down to a total that looked eminently reachable. On a still-challenging surface with variable bounce however the reply, with the loss of early wickets, did not get off to a very promising start. But then Ross Baker (38) and Ali Crawford (23) battled well and put together a useful partnership. After a mid-order mini collapse, without which no Beaminster innings seems complete, Lewis Keenan batted superbly (43) to make a match-winning score and guide the team home to a hard-fought victory. With only four games remaining this season (three of them away) Beaminster, in 6th position, have consolidated their place in county division 2. This coming Saturday the game is against Cranborne, a team at some risk of relegation mainly because of penalty points lost by not fulfilling fixtures. The Beaminster Ladies have entered a softball competition in Dorchester this weekend. It is similar to the one recently hosted in Beaminster. At the last count the team was struggling to raise a full side. Anyone interested to play should contact Mel White (chalewkee@yahoo.co.uk). This years club awards night will take place on Saturday 8th September in the Red Lion. This is the clubs social highlight of the year when, in the middle of feasting and imbibing, the players who have particularly excelled during the season are awarded their trophies. Please keep this date free and let Ross Baker, Nikki Moss or Mel White know how many tickets you want. In recent years the score hut has come more and more to be used as a storage shed for various items of cricketing paraphernalia. To such an extent that the scorer has barely been able to fit in and watch the game, though that requirement is not so important at the moment with the new all-singing all-dancing electronic scoreboard. Nevertheless the club has felt the need to increase storage space and this will be done by erecting a metal hut near the practice net area. A concrete base is scheduled to be put in place in September and the hut will follow on directly. In years past, but not in the last 10 or more, the club has (successfully) taken on an overseas player to help improve its level of play by both coaching and playing. The possibility of doing this again was discussed recently by the club committee. Players available to do this are young amateurs, often from Australia or New Zealand, who are keen to extend their experience with a season in English club cricket. The club is hosting a 6-a-side tournament on Bank Holiday Monday 27th August. Six teams have entered and this year all of the games will be at the Memorial Ground pitch starting at 10am. Beaminster were swept aside by a rampant Blandford and for the first time in many a year were pointless. Put into bat Beaminster were ruthlessly dismissed for 67 in the 26th over. No excuses, although the pitch was lively after overnight and morning rain and accounted for several dismissals. Others however were gifted through poor stroke play. Beaminster were weakened as a number of regular players were absent. Stand-in opener Nick David making a welcome return was first to go after mistiming a legside shot. At 35-1 though there was no hint of the disaster about to unfold. This occurred following the introduction of change bowler S Lama (6-24) who turned the game on its head. He unsettled all the batters with a barrage of bouncers and short deliveries. No batsman reached double figures and of the 67 total 31 were extras including 25 wides. With such a modest total to defend Beaminsters bowlers had no chance. The Blandford openers wasted no time and victory by 10 wickets came in 4.4 overs some sort of record surely. A very chastening experience. Before the presentations there was a limited overs match between a youth select (from the U11, U13 and U16 teams) against a senior select side. The undoubted highlight of this was a spectacular over from 12-year old Henry Everitt, the smallest player on the field. When he took the ball and prepared to bowl to club captain and star batsman Ross Baker many feared for Henrys pride. But to everyones amazement Ross, Richard Bugler and Neil White were dismissed by the mighty atom in the space of four balls. How was this possible? It could be that as Henry pounded and galloped in (as much as such a youngster can pound and gallop) he was largely invisible to the batters, being hidden by the stumps, umpire and non-strike batter. Thus he suddenly appeared in view from behind all these obstacles and took the batters by surprise who were then completely flummoxed and made horrible hashes of their strokes. It just goes to show that a good little un CAN beat a good big un, or even three of them. It is to be hoped however that young Henrys career has not peaked with this amazing over. And for the record the youth select won the game. All three youth teams have had a good season. Each has done well in their league and each reached the final of their respective cup competitions, which the U13s and U16s won. The U11s only lost two games all season, whilst the U13s went one better, only losing once to Bournemouth in the county cup. The U16s have spent the season in the Mid Wessex league, a development league in which teams can field four seniors. Each team was complimented by their coach for their excellent approach to match practice, sporting behaviour, team ethic and 100% effort. Special awards were given to club members who in various ways have made outstanding contributions to the youth teams throughout the season: Justin Gurd, Adrian Rees, Neil White, Ollie James, Richard Bugler, Adrian Everitt, Giles Moss, Nikki Moss and Mel White. Additionally the managers, coaches, players and parents of the youth teams presented a special award to club captain Ross Baker in recognition of the tremendously hard work he has put in throughout the season to encourage and facilitate the development of youth cricket at the club. And now for Charlton Down this Saturday and a chance for the seniors to redeem themselves with a win. Beaminster stemmed a run of four consecutive defeats by beating Kingston Lacy by the smallest of margins by one wicket in a tense game. Many factors contributed to the result but at the end it was the mature and nerveless batting of youngsters Will Moss (7) and Oli Bareham (3) who dragged Beaminster over the line for a much needed win. An unforgettable experience for them. On a difficult surface with variable bounce KL elected to bat but soon regretted it as Dave Persey (4-26) tore through the top order batsmen. Change bowlers Simon Jones (1-16) and Ross Baker (2-20) continued in similar vein to have the home team reeling at 46-5. The game turned then as two dropped catches enabled KL to build a 6th wicket partnership that took the score towards, without quite reaching, respectability. Richie Runyard (2-28) and Joe Hawkins (1-6) then came together to finish the innings on 127. In reply Beaminsters top order were in their turn blown away by KLs opening bowlers. Only Ross Baker (28) offered any real resistance and a humiliating defeat seemed very much on the cards. But then Leo Gurd (46), batting at number 6, came out and played by far his best innings of the season, if not any season. He held the innings together in a tense finale that ebbed and flowed with each side seeming at times to be favourites to win. With one wicket remaining, 10 balls to come and a few runs to get Will and Oli came together and won the game. Its not always big scores that do the necessary. Last Sunday Beaminster hosted an U19 VitalityTwenty20 competition. This involved three teams (Beaminster, Martinstown, North Dorset Jaguars) playing each other in consecutive 20-over matches. No mean feat on another scorching hot day. There will be another tournament between the same clubs at Shillingstone on 12th August and the overall winner will progress to the Southwest regional final. Against Martinstown Beaminster were made to pay for several dropped catches as the visitors posted an above par score. In response Beaminsters opening batsmen Lewis Keenan (28) and Leo Gurd (44) put Martinstown on the back foot as they kept up with the required run rate. Once they were separated however the remaining batters struggled and eventually were all out 20 runs short of the target. Against North Dorset Jaguars Beaminster were again indebted to skipper Leo Gurd (46) who continued his good form to cement the innings together. Only Fergus Rees and William Murley offered further resistance and the innings closed on a disappointing 104. In contrast to the first game Beaminster then fielded superbly with run outs and one handed catches. It was a tense finale which eventually saw Beaminster lose out by one wicket. At the moment then it looks like the North Dorset Jaguars, with two victories from their two games, will progress to the regional finals. But cricket is a funny old game, so who knows. It was a good weekend for Leo Gurd who with three innings of 46, 44 and 46 again amassed 136 runs in 24 hours. Final reminder that this Friday from 6pm is the clubs presentation evening for its youth players. Its a family affair with a cricket game, various family games, food, drink and of course the presentation of awards and certificates for the clubs younger players. Your attendance and support will be much appreciated. Beaminsters run of defeats continued last Saturday the fourth consecutive such result. Very disappointing after such a good start to the season. Better news from the U13s though they won their cup final in a thrilling game against local rivals Martinstown. Beaminster were heavily defeated at home by 165 runs by an impressive Marnhull side. The home team failed to make good on several promising situations both with bat and ball and were severely punished for the lapses. After winning the toss on a flat surface Dave Persey took three wickets in his opening spell as Marnhull slumped to 20-3. A moderate score looked possible particularly as change bowlers Will Moss (3-51) and Ross Baker (1-20) got amongst the wickets. But then in mid-order Marnhull took complete control and scored at will against an inexperienced and flagging Beaminster team that was ruthlessly exposed in the field and bowling. Catches were dropped and loose deliveries belted out of site by James Vitali (110) and Ed Ralph (68). Marnhulls innings closed on 295-9. Beaminsters openers Ross Baker (39) and Richie Runyard (37) started well with an opening partnership of 67. In truth however a win was never on the cards. The home side capitulated against the spin bowling of J Hardy (8-38) to 130 all out in the 26th over. Only Lewis Keenan (26) offered any significant further resistance. Beaminster won a thrilling cup final at Martinstown last Saturday morning. Put into bat the visitors made a flying start as skipper Adam Moss hit a rapid 26 before retiring. He took advantage of a lightning fast outfield as he hit five boundaries to keep Martinstown on the defensive. Tegan Furner smashed 28, before retiring, as he continued the assault. After losing two quick wickets and their momentum Will Swann (28, retired) kept the innings together. The tail struggled as another three wickets were lost and the innings closed on 129-5. In response Martinstown found boundaries hard to come by as Beaminsters fielders made numerous fine stops. A dangerous partnership between Jenson Stewart and Fergus Dipple seemed likely to develop into a match winner but then Frankie Hodge took a brilliant catch on the boundary to dismiss Fergus and then clean bowled Jenson in the next over. The match had turned Beaminsters way as Tegan returned to the attack and mopped up the tail to hand victory to Beaminster by six runs as the home side were all out for 123. Next Wednesday 25th July the U11s play their league cup final away at Symene. All support is very welcome. Contact Mel White for details. Dont forget that next Friday 27th July from 6pm onwards is the youth presentation evening. It is a social occasion with cricket, food and drinks besides the presentation of awards and certificates to the members of the clubs three youth teams. The more the merrier. Bring a plate of food to help with the catering. Beaminster slumped to their third consecutive defeat to promotion hopefuls Wimborne & Colehill 2nds on a scorchingly hot day last weekend. Perhaps Englands world cup semifinal match made travelling to east Dorset an unattractive proposition. But the club is very grateful to the players who made the journey. W&C surprisingly, in view of the heat, elected to field after winning the toss. Experienced openers Simon Jones (40) and Ross Baker (43) must have given them doubts about the wisdom of this choice as they put on 79 for the first wicket. Loose balls were hammered into the lightning fast outfield and both looked well at ease. Simon was then dismissed by a fine return catch and the rot immediately set in. 79-0 became 81-4 and 130-9. However the tail then wagged as a last wicket stand by Fergus Rees (12) and a rare and entertaining cameo from Giles Moss (17) took the final score to 154-9, thus ensuring an extra batting bonus point and the use of all the allotted 45 overs. In a short spell before an extended tea break (that managed to take in the England semi-final), Leo Gurd brilliantly stumped opener D Baker to give the team hope of an upset win. But it was not to be as W&C put together a number of useful stands against the Beaminster bowlers (R Baker 1-36; S Jones 1-8; W Moss 1-22 and F Rees 2-38). W&C eventually ran out winners by 5 wickets in 34 overs. On Tuesday 11th the U16 squad won the Mid Wessex league cup final against Huish & Langport by a very convincing 111-run margin. Beaminster batted first and reached 177-4 in their 20 overs whilst H&L mustered only 66-6 in reply. Both Beaminster openers - Lewis Keenan (52) and Oliver Bareham (50) had to retire. Fergus Rees (22) was the only other batsman to reach double figures (apart from 43 extras) as wickets were sacrificed in the quest for quick runs. In reply H&L got off to a dreadful start, falling to 9-4 in no time at all. Only middle order partnerships of 35 and 22 saved a complete rout. F Rees (2-6), Leo Gurd (2-8), Ollie James (1-6) and Ben Leather (1-5) took the wickets. This was a fine way for the U16s to end their season. Beaminster totalled 271-4 to beat Martinstown (244-3) in this league match. Bowling honours belonged to Bertie (2-6) and Daniel (1-3) whilst Ed and Harry though wicketless bowled economically. Daniel (21) also starred with the bat as did Gilbert (13) and Jack (12). Also memorable were a fine over from Lisha and calm cool bowling from Sonny. A good team performance and thanks to Lewis Keenan for umpiring. This will take place from 6.30 onwards on Friday 27th July at the pavilion. It is open to all with an interest in BCC youth players, seniors, ladies, parents and friends. The evening will celebrate the good season the youth teams have had and present awards and certificates to the players. There will be a T20 game between senior youth and men as well as Quick Cricket for all who want to play. There will be a buffet tea and drinks. Please bring a plate of food as a contribution to the buffet. Last Saturday was a blisteringly hot day for the club to host its first womens cricket festival, one of a series being held throughout Dorset this summer and sponsored by the Dorset Cricket Board. Six teams from across the county participated with Martinstown making their first appearance in this form of cricket. Each team played three others. There was some big hitting as players took advantage of the perfect wickets prepared by groundsman Geoff Crabb. Two teams, Broadstone and Poole Town were unbeaten. One of the big positives from the day was that Beaminster had 12 players available, four more than required to form a team. Thus four volunteers signed up for Ferndown and made up their shortfall. Beaminster is now not far from having two teams a massive achievement for a small club and indicative of the interest in this type of cricket. There was a good atmosphere for the whole day positive, supportive and fun. We will definitely hold the event again next year. And we learnt how exhausting it is to play cricket in Caribbean conditions. A huge thank you to all who helped get the festival together and helped to make it run smoothly on the day especially to Neil White, Will Moss and Lewis Keenan for umpiring for hours on end in stultifying heat and Mel White and Nikki Moss for all the behind the scenes work, as well as lots in front of the scenes. We are now at the halfway point of the season and it seems fair to say that everything on the cricket field is going well. All our teams are having a successful season and enjoying their cricket. The club is active on the social side with a variety of events held already and more to come. The club is also involved in wider aspects of Dorset cricket with a number of county games held at the club. The next of these is the Ladies Softball Festival due to be held this Sunday 8th July. Last Saturday saw another disappointing home loss, this time to Weymouth. On another scorchingly hot day Beaminster elected to bat after winning the toss. But the innings never really got going as the side struggled on a lively wicket and in the face of pressure bowling from Weymouth. Wickets fell regularly and quickly and no substantial partnerships were built up. Only veteran Simon Jones with a classy 45 and later batsman Dave Persey (20) thwarted the bowlers for a while and eventually the innings ended on 118 in the 26th over. In reply Weymouth initially looked comfortable against Beaminsters opening bowlers and it was only when first change bowlers Dave Persey (2-33) and Ross Baker (3-11) took the ball that an against-the-odds win looked a possibility. In one period Beaminster took 6-23, but Weymouths Harry Mitchell (28no) held firm to guide his team to a 3-wicket victory in the 32nd over. The loss saw Beaminster drop another place to 5th in the league. Next Saturday (7th July) Beaminster take on promotion hopefuls Wimborne & Colehill 2nds. The team gets an early chance to turn the tables, they are due to meet Symene (date and time to be arranged) in the U11s cup final. STOP PRESS. The U16s lost last night to Sparkford by 40 runs. No details yet. A heavy home defeat last Saturday to Witchampton saw Beaminster slip to 5th place in division 2 whilst their opponents moved to top spot. It was a hard day in the hot sun. On a hot and sunny day at the Rec ground Beaminster were left to rue poor fielding including dropped catches and misfields as they fell to a heavy defeat (by 73 runs) to Witchampton. After winning the toss the visitors posted an above par score (238-4) on a tricky wicket from their 45 overs, chiefly due to their opener M Ashford who hit an unbeaten 95 reached with thanks to several dropped catches. Seven bowlers toiled away without any being able to seriously worry the batsmen. In response Beaminster were going well at 73-1 but then the wickets started to fall and it never looked likely that a winning score would be reached. Opener Ross Baker (56) battled hard for 37 overs and indeed an entertaining 37-run partnership with Hugh Rathbone (24) for the seventh wicket briefly raised the prospect of a close finish. But with the fall of the seventh wicket at 144 those prospects receded and the innings finished on 165-8. The game was not without controversy. Rich Runyard (23) was controversially run out whilst backing up. This is within the rules of cricket but many would argue not within the spirit. What probably did for Beaminster however was fielding first and toiling away in the hot sun for three hours. Its going to be hot again this weekend so something to consider if given the choice of batting or bowling first? The U16s last week reached the finals of the Mid Wessex U16 cup, a very fine achievement. In the semi-final Beaminster batted first and reached 107-9 in their allotted overs. Opponents Sparkford reached 103-2 in their reply. Good bowling and tight fielding saw Beaminster edge the result in a very tense final over during which the result was in doubt even as the final ball was bowled. Yeovil await in the final. Another reminder that the Beaminster Ladies are competing in a cricket festival, being held at the Rec ground, on Sunday 8th July from 11am to 2pm. This will be a very interesting event and an excellent chance for all to see the ladies in action. Organiser Mel White seeks volunteers to help out on the day and in the run up. Please contact her to see how you can help. Beaminsters good form continued last Saturday with an emphatic victory at Stalbridge 2nds. This takes the team into 3rd place and puts them in the promotion mix at this point in the season. But better not to mention it for fear of bringing the down the curse of over-expectation. The team responded to captain Ross Bakers call for an away victory by recording a comfortable win at Stalbridge. Stalbridge batted first and made a half-century opening stand against some rather wayward and short-pitched bowling by Beaminsters opening bowlers. Change bowlers Ross Baker (2-35) and Dave Persey (3-28) bowled full and straight and were duly rewarded. After breaking the opening partnership wickets then fell regularly without any further big stands. With seven catches held this was a welcome improvement on some recent games. Stalbridge�s innings finished on 164 in the final over. Beaminster also got off to a good start with Chris Park (39) and Ross Baker (11) putting on 59. Thereafter there was a flurry of wickets and at 93-4 victory was by no means assured. However near-veteran Richie Runyard (39no) and teenager Lewis Keenan (29no) batted steadily and sensibly to win the game in the 37th over. The combination of experience and youth (from the clubs junior ranks) is an exciting feature of Beaminsters good form this season. This Saturday (23rd) Beaminster play second-placed Witchampton, a chance to move above them in the league standings. Its been a very successful week or two for Beaminsters youth teams. The U11s, who are unbeaten this season, are through to the West Dorset U11 cup final after beating Cerne Valley who reached 63ao in their innings after good bowling by Lisha (2-4), Jack (1-2), Bertie (1-3) and Ed (1-6). There was a brilliant run out from Millies bowling and Sonnys spell was as accurate as ever. Beaminster had little difficulty in winning by 10 wickets with Daniel (23no) and Gilbert (16no) keeping their heads and guiding the team home. This was a great team performance, sharp fielding and good (noisy as ever) communications. The U13s, unbeaten in the league this season, won their game against Symene who were all out for 115 in the 20th over. In reply Beaminster reached 119-2 in the 13th over. A Moss (29, retired) and F Hodge (28) were the chief scorers. The U16s made it a hat trick of wins for the youth teams as they comfortably beat Huish and Langport. Batting first Beaminster reached 157-4 in their allotted overs with Lewis Keenan (53, retired), Justin Gurd (24no) and Fergus Rees (25no) getting most of them. In reply Huish and Langport succumbed rapidly and were all out for 48. Ollie James (3-7), Will Moss (2-6) and Ben Leather (2-8) did most of the damage. This was a comprehensive win for a strong all round showing by the team. And so the 2018 youth season starts with lots of positives and a few negatives. Our Registration night was hugely successful again. Lots of youth players and parents in attendance. It was brilliant to to able to chat about the forthcoming season and address any questions. It was a shame that the weather spoiled the planned training sessions - but definitely think we are going to have to work around the weather for the next few weeks!! Our Under 11's and Under 13's both started with wins away against Charlton Down. The Under 11's won by 41 runs. They are showing signs of huge improvement - a testament to most of them attending our winter training sessions. Their bowling was outstanding and the whole team contributed to the win. Most of all their teamwork and encouragement of each other were a joy to watch. The Under 13's win was also as convincing - winning by 10 wickets. It was an all around team performance that completely out performed the opposition in both bowling and batting. They are a solid team with a huge amount of potential for the next few years. The one negative for both teams is that their next fixtures were cancelled due to the opposition being unable to get a team together. Hopefully, this is just a few teething problems at the begging of the season and it won't become an ongoing issue. Our plans, if this does become the case, are to organise extra training and inter club games. It is essential to keep our youth interested and involved in cricket and so we will fill the gap with cricket activities throughout the season if the actual games do become a problem. Our Ladies Team continued to train throughout the winter. We also had the problem of other teams not being able to field a team for planned indoor games. We did manage to play 8 competitive games and won them all. Although the indoor rules and game are slightly different - we all felt they have improved our skills for the outdoor season. Our outdoor training will continue on Wednesdays 6.30 - 7.30 at Beaminster Playing Fields. All new members of any ability are always welcome. We have 7 softball festivals in Dorset this year. Including - and most importantly - at Beaminster Cricket Club on the 8th July!! We need all the support we can get for this to be a successful event - so if you feel you could volunteer that would be brilliant - just get in touch with one of us! We have also acquired funding through the Womens and Girl's ECB funding. We are purchasing further training/coaching equipment and a bowling mat. After a fantastic maiden league century from Chris Park, Beaminster successfully chased their 217 target to win their opening game by 7 wickets. Nick Hollely dismissed opener Jones for 0 and Francis Medley dismissed Cook for 12 as the visitors struggled against the new ball. Wimborne and Colehill 2nds then rebuilt with an excellent third wicket partnership of 56. Change bowlers Simon Jones (3-23) Ross Baker (2-66) and Joe Hawkins (0-5) bowled well to restrict the visitors. Beaminster 's fielders held all of their catches and few errors in the outfield. Justin Gurd (2) Chris Park and Joe Hawkins all took important catches before the visitors closed on a competitive 217-8 from 45 overs. In reply Beaminster achieved a flying start as they raced to 64 from 12 overs. Although 2 quick wickets were lost, Chris Park (110 not out) and Simon Jones (54) built a defining third wicket partnership. Chris was in imperious form hitting 14 boundaries and 2 maximums. With 5 overs to spare, Beaminster reached their target to record an impressive first win in Division 2 of the Dorset League by 7 wickets. In an enthralling and exciting game, Marnhull successfully chased their target with 3 overs remaining. After being inserted, Beaminster's total was built around a determined knock by their skipper Ross Baker who batted for 39 overs for his 62. On a challenging surface with variable bounce Rich Runyard also excelled with an excellent 48 not out. At tea, Beaminster were content with their total. Marnhull's reply started well when the openers took advantage of loose deliveries. Although Ross Baker (1-18) dismissed the dangerous skipper Vitali, youngster D Harkin hit a mature 51 to guide his team to victory. Joe Hawkins took 3-42 but Beaminster were made to rue dropped catches and too many loose deliveries. Beaminster recorded an impressive victory at home to Kingston Lacy. After being inserted, the top four batsmen all made useful contributions as a solid platform was laid. Chris Park (48) and Ross Baker (28) put on their third consecutive 50 partnership before Simon Jones (83) entered the fray and he played superbly. Against accurate bowling, the Beaminster batsmen played determinedly and ran well between the wickets. Rich Runyard supported Jones to ensure the home team passed 200 on a hot afternoon at the Memorial Ground. In reply, 2 early wickets were taken by the promoted Will Moss and Francis Medley. First change bowler Simon Jones bowled an excellent spell taking 3 crucial wickets. However Kingston Lacy fought back and looked to set chase their target before fifth bowler Richard Runyard bowled superbly to ensure Beaminster were ahead in the game. Ross Baker (3-30) returned to the attack to mop up the tail as Beaminster won by 40 runs. We now have a new net - donated and sponsored by Sicor - we are so grateful for their help this season. Also a new bowling mat - which we were able to buy through an ECB grant from the Women's team. A new electronic, portable scoreboard has been delivered this week - this was through a small grant directly from the ECB. So many positive steps this season in improving our facilities and equipment - with a lot more plans for the future!! As a whole club we need to take the time to help with the restoration and preservation of our facilities. We all need to chip in with the setting up and packing away on game/training days and all help out out with the practicalities of the club running smoothly. Our first Women's festival took place this weekend at Sherborne. It was a very tough draw against some very well established teams. We didnt get a win but we can take so many positives away from a challenging competion. We are constantly improving and learning and enjoying it all!! We have had 3 new members so far this year and our training is going very well. We have new shirts printed thanks to a donation from Buglers and we are looking forward to entering all 7 festivals taking place this year and continuing our cricketing development. Our Youth team's have started very well - all the league games played so far have resulted in victories. U11s beat Charlton Down, U13s beat Charlton Down and Bere Regis. All are all very solid, competitive sides and it has been a joy to watch their support and encouragement of each other. One main concern, however, are the number of games cancelled due to other teams not being able to field a side. We need to keep our youth playing and engaged with cricket and this is something we may need to address in coming seasons. This season we will keep playing 'in club' mixed up games between the different ages to keep them playing regularly. We want Beaminster to be a positive club for them full of support and encouragement so please feel welcome to come and watch them play (all games will be listed on Facebook or on our Beaminster Cricket Website) or to Saturday coaching. We are so proud of them and the way they are developing. Our main fundraising event this year will be Cricket Week. Running from 4th - 10th June we will have a different game each night - showcasing a different part of our club. The Finale will be on Sunday 10th June. This will be a Men's T20 game against Sherborne and then Beaminster Women's against Sherborne Women. There will be music, flashing stumps etc. After the games there will be live music from Kash Folding and lots of food and drink. This is a town event and open to absolutely everyone so spread the word!! If you can offer any ideas/help please get in touch - we always welcome extra support and new ideas. The club is constantly evolving at the moment as you can see by the number of competitions/events that are happening this year. This is all for the development and future of the club. However, this does mean that we have a lot more things to organize and manage. We need more people to help out�anything you could offer would be hugely appreciated. To helping put the ropes up at the end of a game to manning the kitchen for an hour at an event. Every small job that helps someone else would be brilliant. We have so many different ways to help fundraising/events/committee volunteers are very much needed and will be warmly welcomed!! We now have a new net - donated and sponsored by Sicor - we are so grateful for their help this season. Also a new bowling mat - which we were able to buy through an ECB grant from the Women's team. A new electronic, portable scoreboard is being delivered this week - this was through a small grant directly from the ECB. So many positive steps this season in improving our facilities and equipment - with a lot more plans for the future!! Our first Women's festival is taking place this weekend at Sherborne. We have had 3 new members so far this year and our training is going very well. We have new shirts printed - thanks to a donation from Buglers and we are looking forward to entering all 7 festivals taking place this year. Our Youth team's have started very well - all the games played so far have resulted in victories. They are all very solid, competitive sides and it has been a joy to watch their support and encouragement of each other. One main concern, however, are the number of games cancelled due to other teams not being able to field a side. We need to keep our youth playing and engaged with cricket and this is something we may need to address in coming seasons. This season we will keep playing 'in club' mixed up games between the different ages - to keep them playing regularly. Our main fundraising event this year will be Cricket Week. Running from 4th - 10th June - we will have a different game each night - showcasing a different part of our club. The Finale will be on Sunday 10th June. This will be a Men's T20 game against Sherborne and then Beaminster Women's against Sherborne Women. There will be music, flashing stumps etc. After the games there will be live music from Kash Folding and lots of food and drink. This is a town event and open to absolutely everyone - so spread the word!! If you can offer any ideas/help please get in touch - we always welcome extra support and new ideas. There is lots going on at the club even though the last few days have seen weather that could be hardly any less conducive to cricket. Even the waste paper collection was cancelled, for the first time in many a year, as the collection skip could not be delivered. Our teams have been very successful over the winter. The Ladies team is unbeaten in the Dorchester Indoor League, played 4 won 4. Training sessions are held every Saturday morning at the Beaminster school sports hall from 10.30 to 12. Its great fun so if any ladies have not been yet, just drop in and start. These sessions are preceded by youth training sessions from 9.30 to 10.30 at which attendance has been very good with the players continuing their enthusiasm from last season. The male seniors are currently in second place in division 1 of the Crewkerne league after excellent wins against Barrington and Ilminster. Indoor nets have now started and are held on Tuesday evenings at Colfox school sports hall. Good pre-season practice is even more important than usual this year following the clubs promotion. The U16 and U14 teams play their final games this month in Portland. Well done to Tiggy David on her selection for the Dorset Girls County Squad. Something she can be very proud of. The practice net area will be much improved this month. A work party will install the new concrete base and the net itself will be upgraded. This is a vital part of the clubs facilities. The club has secured funding (2599.99 pounds to be precise) from the Dorset Cricket Boards small grants scheme for a new portable electronic scoreboard. The decision has to be confirmed by the ECB but should be a formality. It will be with some regret and sadness that the great skills required to work the ancient system in the score hut will now pass into history. It took long experience and incredible persuasion to get the correct numbers to appear at the correct time in the match. But when the electronic usurper fails (as it will inevitably do from time to time) hopefully there will be someone around to remember how it was done in the old days. Also on the funding front an application has been made by the ladies section for a new multi-purpose playing and practice mat at a cost of around 400 pounds. The 2018 seasons opening fixture is on 5th May at home to Wimborne & Colehill 2nds. The other teams in our division are Stalbridge 2nds, Witchampton, Charlton Down, Marnhull, Cranborne, Blandford, Kingston Lacy and Weymouth. Although there is the usual fair amount of travelling, inevitable given we are in west Dorset, there seems to be less of it this year due to the lack of Bournemouth teams. Lots of activities here too. On Wednesday 14th March there will be an Easter bingo evening at Beaminster Town Hall. Doors open at 7pm and eyes down at 7.30. There are loads of prize bundles to be won as well as a raffle, bar and homemade refreshments. Open to everyone should be lots of fun. The bingo is rapidly followed by our second whist drive on Saturday 17th March in the Memorial Pavilion at 7.30. Our first such event provided a very happy evening and doubtless this one will too. Everybody from experts to beginners is welcome. All will be explained. Lots of prizes and cheese & snacks included in the 6 pounds entrance ticket. There is also a bar and raffle with some lovely prizes. The club is organising a cricket week from the 4th to the 10th of June. The idea is to hold a cricket match every day along with a variety of social events too. Thus guest teams will include Dorchester U11, North Perrot (1st team), Thorncombe (2nd team), Dorchester U13, Sherborne Ladies XI, Cranborne (1st team), All Stars and Sherborne 1st Team. On the final day there will a live band, BBQ and bar. More details later. The skittles evening held recently in the Fleet Social Club was very successful and raised nearly 200 pounds for the club. Also planned, for October, is an evening of pub games such as snooker, table skittles and darts to name but some. More details to follow. So there is plenty going on for people to enjoy, be it as participant or volunteer helper. Both are welcome. Another year starting in the life of Beaminster Cricket Club. The 163rd to be precise. Thats quite a history and something that the town in general and the club in particular can be very proud of. And after last seasons successes the club is looking forward with confidence to 2018. There will be much to write about as the club moves into the new season presented here are summaries of the issues currently at the forefront of the committees attentions. For some time now the club has been planning to upgrade the practice net facility, in particular by laying a concrete strip to improve the run-up to the bowling crease and decrease wear and tear damage to the turf. The plan now is for this to be completed in time for the new season and for virtually all the work to be done by club volunteers. The net is heavily used for practice before and during the season and is a valuable resource. The club is applying for an ECB grant to purchase a new electronic scoreboard close to 3000 pounds. The club can access these funds by virtue of it now being a Clubmark club. A potentially quick return on the efforts made to get this accreditation. The old manual scoreboard has served the club very well and will doubtless be kept on in case the batteries for the new acquisition run flat. The clubs Ladies will be taking part in a new indoor softball league starting up later this month in Dorchester. All part of the great interest in Ladies cricket and the determination of the BCC Ladies to be a force to be reckoned with on the Dorset cricket scene. Next season the U16s will be competing in the Mid Wessex evening league. Other clubs in the league include Glastonbury, Ilminster, Crewkerne, Huish & Langport, Sparkford and Yeovil. This promises to be an excellent competition and will introduce the club to new teams, grounds and contacts. The club has an ambitious programme of fundraiser events in the pipeline including skittles nights, an evening of pub games, bingo, whist drive with wine and cheese night, 6 aside competition and a cricket week in June featuring a match every day of the week at the Memorial Ground. Lots going on then. Further updates in future newsletters. The meeting also approved various recommendations made by the previous committee to withdraw from the TT25 competition, to enter an U16 team into the Mid-Wessex league and to drop the posts of 1st team managers in favour of having a senior captain (R Baker) and senior vice-captain (C Park). The clubs youth teams are playing competitive cricket over the winter months and a recent fixture in the U14s West Dorset Indoor League saw Beaminster come up against their old enemy Martinstown. Martinstown were asked to bat and scored freely finishing on 133-4. Tiggy David and Noah Tattershall bowled well to restrict the run flow and took valuable wickets. Nevertheless 41 runs from the final two overs presented Beaminster with a difficult task. Tegan Furner 32no and Noah 25 set about the job with commendable spirit and skill. They were followed by K David 12 and Adam Moss 19 but despite a final flurry of 29 runs from the final over Martinstown finished as winners by 9 runs, thereby avenging their defeat the last time the two teams met. There is still time to come along to the whist drive at 7.30pm in the pavilion a new fundraising venture for the club. A lot of interest has been shown and it will be a fun evening. Food is provided and there is a bar for the purchase of soft and alcoholic drinks. Quite apart from events such as the whist drive the club is embarking on a fundraising drive to recruit sponsors of the club. Over the winter months around 100 local businesses will be approached and asked to sponsor the club for the 2018 season. Updates will be presented in future newsletters. It may be October, the nights are drawing in and the first frost has been and gone but cricket activities continue - and there are lots of them at the moment, including actual competitive games. The U16 and U14 teams are currently playing winter league cricket at Ospreys in Portland and have started well. The U16s lost narrowly to Martinstown whilst the U14s beat their Martinstown peers - very narrowly indeed. Both sides finished with the same score but Beaminster were deemed winners by virtue of losing fewer wickets. Winter cricket is an excellent way to keep players interested and to develop their abilities during the long close season. The U16's abilities will be further developed in the coming weeks through a series of intensive and personalised training classes offered by coach Ross Baker. Sessions for small groups will be held at the school sports hall and completed before Christmas. The Beaminster Ladies are also keen to sharpen their skills over the winter. They are planning to play in an indoor league based in Dorchester and due to start in the new year. Full details are awaited. It's been a long and weary process to prepare and submit the club's application for Clubmark status - the ECB's seal of approval to demonstrate that the club is run on best practice standards. But the end is nearly in sight - next Monday a representative from the Dorset Cricket Board will come to Beaminster, meet club officials, and (expectedly) satisfy himself that the club does what is says it does and has earned this important accolade. The job then of course is to keep up the standards and not to let them slip. The club's annual dinner (prepared by Linda Paget) and awards night is scheduled for Friday 27th October at 7.30 in the pavilion. Tickets are going well £12, bring your own alcohol). If you wish to attend but have not yet got a ticket please let Ross Baker know. This is the club's premier social occasion during which the season's outstanding contributions from players and volunteers are formally recognised. 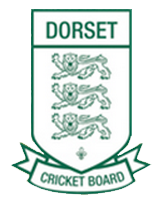 Talking of awards, the club will be attending a ceremony on 30th October held by the Dorset Cricket Board. They will collect the award earned by the club for winning promotion in the 2017 season. The recent bingo night at Misterton was a great success and raised nearly £600 for the club. Many thanks to Mel White and her helpers for all the efforts they put into this evening. Another bingo night is planned for the Spring. The club is planning to hold a whist drive on 24th November, starting at 7.30, in the pavilion. Entrance, to include a 2-course dinner, is priced at £7. There will be a bar service. This is a new activity for the club. Posters detailing the event are in place around town. Further details can be obtained from Mel White. As in previous years the club will be setting up a stall in the town square for the big Christmas lights switch on. This is on Friday 1st December. Hot chocolate, mince pies, mulled wine, hot dogs, burgers, biscuits and special treats for children will all be on offer. Should be quite a night. The club's AGM will be held on Tuesday 14th November at 7.30 in the pavilion. It is open to all members of the club and any interested members of the public. The new committee will be elected - anyone interested to stand for election should advise secretary John Block. Cricket's over for 2017 but still plenty going on at the club. After the club's most successful playing season for a while it's good to be able to take stock, slow down from the pressure of arranging several weekly games and generally take a bit of a breather. But it won't be long before it all starts again and the work now is to see that everything is in place in good time for the 2018 season. The much-anticipated Women and Girls softball cricketing sports day scheduled for today in Poole (17th September) has unfortunately been cancelled due to the recent wet weather. Very disappointing indeed for the two Beaminster teams planning to take part. The batting and bowling averages for the 2017 season are attached. As usual they make interesting reading. Summary statistics for catching/stumping are not included as records were incomplete. For several games catchers were either not recorded or were just plain illegible. Amongst many aspects they highlight are the important roles played by the more senior and experienced players as well as the outstanding contributions of the club's up and coming younger members. The club has a fine blend of both sets of players. There are a number of club activities in the coming weeks. This is scheduled for Friday 27th October in the pavilion, somewhat later than advertised in the club's fixtures booklet. It is the main highlight of the club's social year at which the presentation of awards will be made to acknowledge the contributions of batters, bowlers and members. As last year the catering will be provided by Linda Paget, and details of cost, time and ticketing will be announced later. But in the meantime mark it down as 'unmissable' in your diary. The club's next bingo night is Monday 25th September at Misterton community hall. This is arranged by Mel White and Nikki Moss, who are always on the lookout for additional help - be it on the night itself or through the donation of raffle and other prizes. Please contact them directly for more information and with your offers. These bingo evenings are a very successful way of raising much needed funds for the club. The club is planning to organise a whist drive towards the end of the year. Further details will be announced in due course. A meal will be provided. This will be a new fundraiser for the club. Once more the club plans to set up a food stall - burgers, hot dogs, mulled wine, marshmellows - for the town's Christmas lights switch-on in the square. This was very successful last year. More details later. And last but not least, the club's AGM will be held on Tuesday 14th November at 7.30 in the pavilion. This is your chance to hear the club's officers present their reports, help to elect a new committee, put yourself forward for the committee and bring any matter you wish to the committee for discussion. The difficult and lengthy task of putting the club's affairs into the format required by the ECB for accreditation to the Clubmark standard has now been completed. The club is awaiting a visit from the ECB to check that everything is in order. In the meantime the results of much of the work can be seen covering the pavilion's new very large noticeboard. 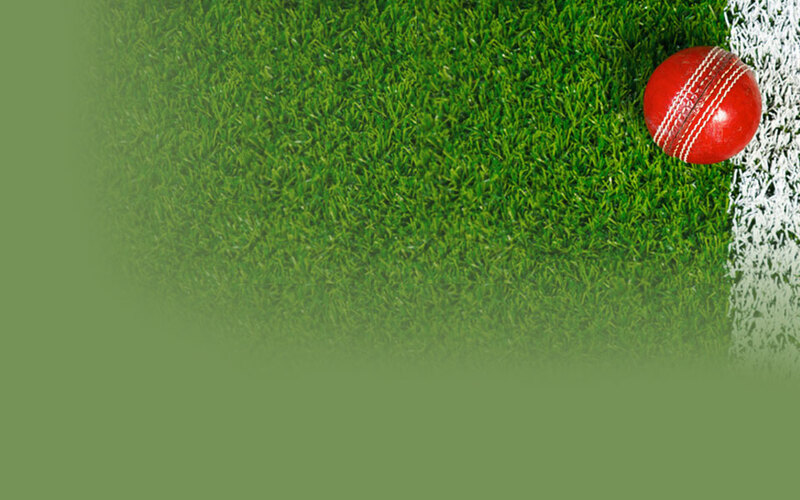 One Clubmark requirement is to display all these aspects of running the club. Come and see for yourself - allow a couple of hours to read it all. Well, after threatening and challenging for promotion these final few weeks of the season, Beaminster finally did it - on Friday night without a ball being bowled!! This was courtesy of Ashmore and Dorchester 2nds - promotion rivals - both pulling out of their final Saturday games and thus guaranteeing Beaminster's move up to division 2. Why they did this is anyone's guess. Couldn't raise a team - surely not so with possible promotion at stake? Didn't want to get promotion - again surely not, don't clubs always try their best? No pitch available with the start of the football season - if so, surely an alternative could have been found? Whatever the reasons it worked to Beaminster's advantage. But better to win the final game so that promotion was assured by the team's own efforts rather than by default. And that is what happened - Beaminster beat Wimborne & Colehill 3rds - though it was a tense nail-biting affair that could have gone either way. W&C won the toss and elected to bat, a move which initially at least seemed likely to result in a high score. Runs came freely against opening bowlers Dave Persey and Ben Hollely. But with the introduction of first change bowler Simon Jones the game changed very rapidly as he produced a devastating spell to finish with 4-7, the best bowling figures of any Beaminster player this season. From 78-3 to 84-7 and then 107-9 W&C's innings fell apart with Pete Bustin (4-15) also producing excellent figures for his best return of the season. A 10th wicket stand of 35 gave W&C's final score (142) some respectability. But not too daunting a total. That wasn't quite the way it turned out though as Beaminster slumped to 41-5 and defeat seemed a very real possibility. A 62-run stand for the 6th wicket between Dan Spiller (51*, highest score of the season) and Dave Persey (39, also highest score of the season) put the side back on track at 103-6. Another wobble though and at 106-8 things weren't looking too good but then Ben Hollely (14*) joined Dan and together they took the score to 144 in the 32nd over to record a narrow, tense win. W&C have only won one game this season, but came very close on this occasion to providing an upset. Only two superb bowling returns and two best scores of the season won the day for Beaminster. A good time to produce these efforts. Despite winning nine games each the final positions of Ashmore and Dorset Indian Tigers have been greatly distorted by incurring penalty points - in Ashmore's case a total of 60 resulting from conceding a game (-20) against Dorset Indian Tigers and scratching from Saturday's game (-40). In DIT's case 40 points have been forfeited for 'multiple offences' with another 30 to be deducted next season if 'offences' are committed in 2018. Beaminster, Blandford, Charlton Down, Cranborne, Ferndown Wayfarers, Marnhull, Shillingstone 2, Weymouth, Wimborne & Colehill 2, Witchampton. Likely some very good games there. Beaminster took their winning run to eight matches against fellow promotion hopefuls Dorchester 2nds on 19th August and simultaneously arrived at the brink of promotion. Things stalled a bit on the following Saturday 26th however with a loss against Hamworthy Recreation 2nds, who until recently were relegation candidates but who have been having a revival of late. Beaminster's promotion hopes will be realised or dashed this coming Saturday against 9th-placed Wimborne and Colehill 3rds whose relegation fate is already sealed. Beaminster's 9-wicket and eighth consecutive win against promotion rivals Dorchester 2nds took the team into second place in the league and to the brink of promotion. Exciting days indeed for the club - which is having its best season for several years. After winning the toss and putting Dorchester in to bat the decision was quickly vindicated as wickets started to fall immediately and kept on doing so at short intervals until the side was all out for 63 runs in 32 overs. Wickets were taken by all the bowlers - Dave Persey (2-21), Nick Hollely (1-11), Simon Jones (2-8, season's best), Ross Baker (3-10, season's best) and Will Moss (2-10). The bowlers were greatly helped by good fielding throughout, the highlight of which was a diving catch by Chris Park. Although Beaminster lost opener Chris Park in the first over the result was never in doubt. Fellow opener Ross Baker (35no) and Simon Jones (21no) reached the winning score in style and without any undue concerns. Beaminster's winning run and promotion hopes stalled as they were soundly beaten by the rejuvenated Hamworthy Recreation 2nds. Beaminster elected to bat after winning the toss but any confidence of reaching a big score was not realised. Apart from opener Chris Park's determined 45, the rest of the order struggled on a slow surface with large boundaries. A very low score was avoided to some extent by the lower order batsmen, particularly Ben Hollely (24), who took the score to a barely competitive total of 130 in 45 overs. In the event Hamworthy had no trouble at all in winning, doing so in the 25th over. Although Dave Persey took an early wicket runs were scored pretty much at will. Poor fielding with several dropped catches and some loose bowling did not help. The star for Hamworthy was 15-year old S Berry (55), a Dorset county youth player. Hamworthy fully deserved their win and took away any complacency that Beaminster had accrued after their long winning run and high league position. With one match left of the season Beaminster sit in second position and are one of three teams that can secure promotion this coming Saturday. The wins just keep on coming for the seniors! Last Saturday saw the 7th successive win, this time against Ashmore and another early season defeat avenged in fine style. Almost unbelievably, given its poor start to the season, Beaminster is now a serious contender for promotion at the end of the season. They lie in third place just 11 points behind second-placed Dorchester 2nds. It was way back on 17th June that BCC's victory run started - against Dorchester 2. Victory against them at home on Saturday will put Beaminster in second place and favourites for the second promotion spot. A lot at stake then! Beaminster went to Ashmore, Dorset's highest village, last Saturday and secured a comfortable victory, their 7th on the trot. Beaminster won the toss and full of confidence elected to bat. Ross Baker (25) and Chris Park (27) went on the attack immediately and put on a good opening stand (52). Ashmore's change bowlers had more success than their opening counterparts and took some quick wickets to leave Beaminster on 98-5 and the game in the balance. Leo Gurd resisted strongly during this time and eventually made his highest score of the season (33). The last three wickets made more runs than the first five thanks largely to Dave Persey who also made his season's highest score (40) and Rob Meech with his first knock of the season (25 not out). Altogether 81 runs were scored in the final 10 overs and Beaminster closed their innings on a very respectable 197-8. Dave Persey continued to cause major problems for Ashmore as he opened the bowling and took 3-28, including a stunning caught and bowled. A few dropped catches gave Ashmore some hope but tight bowling from Ross Baker and Ben Hollely, who together conceded less than three runs an over, saw the required run rate creep up. Eventually Ashmore had to go for the runs and then wickets started to fall and the game finished in the 42nd over when the home side were all out for 151. BCCs other wicket takers were Nick Hollely (2-27), Ross Baker (1-26), Will Moss (1-17) and Pete Bustin who wrapped up the tailenders (2-7). Beaminster now sit in 3rd place. Victory over 2nd-placed Dorchester 2nds on Saturday would give BCC a fine chance of promotion. Their final two games are against 8th-placed Hamworthy Rec 2nds and 9th-placed Wimborne & Colehill 3rds. Following the success of last year's inaugural competition the club is again organising a 6-a-side cricket tournament on Bank Holiday Monday 28th August at the Rec ground. Please contact Ross Baker or Dave Wells for further details. • Dorchester on 25th August. One team entered. • Somerset on 3rd September. One team entered. • Poole Park on 17th September. Two teams entered. Additionally the ladies are planning to enter into a winter indoor league. More details of the above will follow in due course. In the meantime please contact Mel White and Nikki Moss for details. The club is arranging another Bingo night at Misterton Village Hall on 25th September. This is a great fundraiser for the club as well as a good night out. There are great raffle prizes and food and drink available. The doors open at 6.30. The club has to provide the raffle prizes and thus appeals to club members and supporters to donate good prizes. Please contact Mel White and Nikki Moss for details of the evening and how to donate prizes. Beaminster dodged the showers that doused much of Dorset last Saturday 5th and the game against high-flying (2nd placed) Sturminster Marshall went ahead. And Beaminster won - their sixth consecutive victory. The win was doubly sweet as in the only other game to go ahead close rivals Dorset Indian Tigers somewhat surprisingly lost against bottom club Poole Town 3rds enabling BCC to steal a march on all its rivals. The upshot of all this is that Beaminster moved into fourth place in the division and find themselves with a real chance of promotion. Second-placed Sturminster Marshall are only 10 points ahead. Charlton Down are certain to be champions but the second promotion place is well within reach for Beaminster. Who would have thought that when the team lost 5 of its first six matches? Beaminster comfortably won their sixth game in a row and thereby avenged their June defeat by Sturminster Marshall. Captain-for-the-day Chris Park lost the toss and SM elected to bat. This was a decision they very quickly came to regret. The first wicket fell at 6 and then they proceeded to fall quickly and regularly. The side was all out for 79 in 26.5 overs. Only H Lockwood (41) showed any resistance or fight with the others getting four ducks and five single-figure scores. All the bowlers had good returns with Francis Medley leading the way with 4-12 followed by Dave Persey (2-15), Nick Hollely (2-17) and Simon Jones (1-7). They were ably assisted in the field by Rob Meech with three catches, Chris Park with two, a sharp stumping by Leo Gurd and a runout by Ben Hollely. In reply Beaminster had no difficulty in reaching their target. Openers Chris Park (41no) and Leo Gurd put on a 50-run partnership making the end result a formality, with victory coming in 21 overs. This week's game against Ashmore provides an opportunity to climb higher in the division. Rain over Dorset washed out last Saturday's (29th July) game against Dorset Indian Tigers, the second successive game to so succumb. A great pity for it meant lost opportunity to avenge the home defeat earlier in the season to the Tigers and a further stalling of the club's winning momentum. Perhaps this will be rectified with this week's home game against Sturminster Marshall another chance to avenge an early season loss. Last Thursday (28th July) the club hosted a very successful social evening to mark the end of the season for the club's youth teams. A large number of players (senior and junior), parents, friends and supporters gathered at the pavilion to mark a very successful season for the club's youngsters. The juniors, with help from a few of the seniors, played against a senior side in a game that provided entertainment and a chance for them to measure up against the seniors. And very well they did too. Beaminster's three youth teams acquitted themselves very well. The U13s won their league. And here's hoping to some good weather this weekend!! Beaminster have extended their unbeaten run to 5 games. A remarkable turn-around after the loss of the previous five games.Elsewhere the Beaminster Ladies had a wonderfully competitive day at the Ferndown cricket festival and have announced their arrival as a force on the Dorset cricketing scene. An exciting match at Kingston Lacy on 15 July eventually saw Beaminster winning their fifth successive game by a comfortable 59 runs. But it could have gone either way. Beaminster were put in to bat on a very difficult wicket - an indication of just how so was that Ross Baker took 21 overs to accumulate18 runs. A far cry from his trademark swashbuckling approach to run-getting. All the early and middle order batsmen struggled and at 68-8 a very poor score seemed inevitable. Then came the fightback in the shape of Pete Bustin. He took the previously almost unplayable bowling apart and thrashed a score of 56 (his highest for the club) that included five sixes. He was ably assisted by Dave Persey (8) and Ben Holleley (14no) for the 9th and 10th wickets that added 86 runs before the innings closed on 154 in the 41st over. Soon after KL's start, in the second over, the game swung Beaminster's way when Justin Gurd took a brilliant catch in the deep to dismiss the home side's ever dangerous K Jones. The side never really recovered and terminal damage was done when the score collapsed from 36-1 to 36-5. The sixth wicket doubled the score but from 72-6 there were no more surprises and the innings closed at 95 all out in the 31st over. Wickets were shared between Nick Hollely (2-29), Ross Baker (2-23), Cameron Lucas (1-19) and the in-form Will Moss (4-10). The remaining wicket came via a stunning run out from Ben Hollely with a direct throw that flattened the wicket. This was but one example of Beaminster's superb fielding display. Last Saturday's (22 July) game against against high-flying league leaders Charlton Down was washed out by the storms that permitted only four games in the whole county. This was a great pity as it prevented Beaminster from measuring recent improvements against the best team in the division. Despite the rain around Dorset last Sunday the Ferndown ladies cricket festival went ahead and a very successful occasion it was for the Beaminster Ladies. They put out two teams - Beaminster Bumbles and Beaminster Bumblebees - the only club to do so. Despite nerves, inevitable on making their competitive debut appearances, both teams performed well. The Bumbles won two out of three games and the Bumblebees one out of three. The players enjoyed themselves immensely and received a massive confidence boost from competing successfully in an open competition. One of the festival's objectives, to develop the spirit of cricket, was well and truly achieved. On the day that the the England Ladies cricket team won the world title perhaps it is significant that Beaminster Ladies achieved their own triumph. At any event it bodes well for the future - indeed the club has been invited to a cricket festival in Somerset in early September and another in Poole on 17 September. A last reminder for the youth teams' award night this Thursday 27th July at the pavilion from 6pm onwards. Food, drinks,fun and games for the whole family, and cricket as well. And of course awards for the youth players themselves. A good family night out. As their season draws to a close the stats for the U15s make interesting reading. A talented set of lads. Beaminster racked up their fourth consecutive win last Saturday over a very weak Poole Town 3rd team. But a win is a win and it was achieved in a very workmanlike manner. Meantime the youth teams' season is drawing to a close with our three teams all giving a good account of themselves. On a hot day in more than one sense Beaminster won very convincingly (by 171 runs) against a poor Poole Town side. Winning the toss and electing to bat the innings did not get off to the best of starts with Ross Baker, who promoted himself in the batting order, out for 5. This just set the scene for the incoming Cameron Lucas to unleash mayhem on the Poole bowlers as he hammered 85 (14 boundaries) in quick time, ably supported by Adam Herring (14) who sensibly let his partner get on with it. The pair put on 96 after which there was a mini-collapse to leave the side poised on 131-4 with the prospect of a relatively low score. The middle order batters however steadied the team with good contributions from Dan Spiller (22), Justin Gurd (26) and Nick Hollely (31). Although the last three wickets fell for four runs the final total of 233 was very competitive and the fourth successive 200+ score. Poole started off with some confidence and the score of 26-0 after five overs gave no hint of the collapse to follow - which saw the whole team out for 62. The wickets were well shared out with the best return being that of William Moss (4-18). This is the best bowling return by any bowler this season. A very good day for the youngster. Other wicket takers were Francis Medley (2-7), Nick Hollely (2-16) and Dave Persey (2-0). Dave's wickets came with his first two balls - thus he is on hat-trick with his next ball - or does such a feat have to be achieved in the same match? On Thursday 27th July the end of the season for the youth teams will be celebrated with a social gathering at the pavilion at which the various awards will be given out to the players. The evening will be fun -with a match between a senior side and a combined youth side and a friendly cricket match for the whole family to join in. Soft drinks will be provided as well as a bar. Everybody in the club is invited to attend - senior players, youth players, ladies team members, the All Stars, TT25 players. The organisers ask everyone to bring a contribution to put on the 'cricket tea table' - sandwiches, sausage rolls, cakes, crisps etc etc. The evening starts at 6pm. See you there. Beaminter's win moved the team to 5th place in the league - but with one result still to be added (Ashmore v Dorset Indian Tigers) this could change. Still, good to see the team in the top half of the table. Hardly any matches lost to the weather this season. Long may it continue so. Two good wins for BCC over the last fortnight - making it three wins in a row. The club's best spell for quite a while. The effect on the league position has been....zero. The club remain in 7th position but has closed the gap between the teams above and if the good run continues then there will be a surge up the table. Meanwhile the club's ladies are planning a festival day of cricket later in the month. Beaminster (237-9) scored a huge win over over Hamworthy Rec 2nds (135ao) on 24 June and gained a maximum points (20) in the process. Beaminster won the toss and elected to bat. Although losing opener Leo Gurd rather quickly the following 89-run partnership between Ross Baker (91) and Adam Herring (21) saw the visiting bowlers whacked all over the ground. Ross's score was his and the club's highest individual score of the season. After their departures there was the curse of the mini collapse which however was halted by good contributions from Lewis Keenan (44), Nick Hollely (23), Dave Persey (20) and Francis Medley (15). 127 runs were scored in the final 15 overs to set a very difficult target. Hamworthy never really looked like making a close match of it. Their wickets fell regularly and at short intervals. At 46-4 and then 53-5 and then 83-7 the result was never in doubt. Late resistance in a 43-run stand was too little too late and the win was achieved with 15 overs to spare. Beaminster used eight bowlers with six taking wickets - Nick Hollely (2-16), Will Moss (2-15), Ross Baker (1-22), Lewis Keenan (1-10), Adam Herring (1-11) and Justin Gurd (1-7). All these returns will do no harm to the bowlers' seasonal averages. At home for the second week in succession Beaminster (243ao) scored another big win, this time against Wimborne & Colehill 3rds (180-5 after their 45 overs). Opener Chris Park (97) set new heights for his and the club's highest score of the season. The 100-run opening partnership with Ross Baker (29) came in 16 overs with Chris in particular scoring very freely. Bad luck in just missing out on a century. Lewis Keenan (42) then continued his recent fine form by recording his fourth consecutive 40+ score. But following his departure at 186-3 the promised really big score never happened as a middle order and tail-end collapse saw the innings close on 243. Still a very respectable score though. By contrast to the home team, W&C played cautiously from the start and were never anywhere near the required run rate, falling further behind it all the time. As last week, eight bowlers were used but whilst they were all economical W&C's determined resistance made it very difficult for them. Ross Baker (3-17) was the most successful with Cameron Lucas (1-26) and Lewis Keenan (1-21) also enjoying some success. W&C opened up and scored more rapidly at the end of their innings (72 runs in the final 10 overs) but by then it was too late to affect the outcome. The club's ladies are going from strength to strength and are providing a very welcome new dynamic to the club and a whole additional focus for its activities.The players have just received their brand new cricketing outfits courtesy of a sponsorship deal run by the ECB. The club is planning to enter two teams into the Dorset Women's Vipers Soft Ball Cricket Festival taking place from 11.00 to 15.00 on Sunday July 23rd at Ferndown Wayfarers cricket club. This promises to be great fun with 8-member teams from over the whole county playing pairs cricket and everyone having to bowl an over. This is an ECB-led national initiative to promote the game for women. The whole family is catered for with children's activities and child care provided as well food and drink. In the meantime Beaminster Ladies are training every Friday at the Rec ground from 6-7pm. There are 18 players and not one has dropped out since signing up. The aim is to continue training throughout the winter and then to enter the new indoor league that is currently being planned for Dorset. More members are welcome. Contact Mel White or just come along to a Friday night session. The season is now half way through. Next Saturday the return fixtures start for the remaining nine games. A quick look at the top of the batting leader board shows Chris Park with 335 runs @ 83.8 as the club's most prolific run getter followed closely by Ross Baker with 297 @ 42.4. Next is Lewis Keenan (172 @ 19.1) whose slow start to the season is now but a memory. Ross Baker is the leading wicket taker (14 @ 18.7) followed by Nick Hollely (8 @ 21.4). The Brian Page memorial bench is now in place up on the embankment near the score hut. It is jointly funded by the cricket and football clubs as a tribute to the man who did so much for the sports in Beaminster and is still much-missed by all who knew him. In a rain-affected game against Sturminster Marshall Beaminster fell just short of the required run rate. SM batted first and reached a good score in their 45 overs (276-6) played out before the rains came down. No Beaminster bowler dominated and the wickets were shared out between Adam Herring (2-52) with one-apiece for Ross Baker, Nick Hollely, Richie Runyard and Will Moss. By contrast Beaminster's innings was interrupted several times for rain breaks and eventually the game was halted after 29 overs with the score on 164-8. Top scorer was Ross Baker with 52 followed by Dan Spiller with 29 not out. SM were awarded the victory on run rate. But it was a close thing - another nine runs from Beaminster and they would have won. For the second successive week Beaminster lost out in a rain-affected game. Batting first opponents Ashmore scored a very respectable 242-5 off their 45 overs. Once again Beaminster bowlers shared out the wickets with Nick Hollely, Francis Medley, Adam Herring, Simon Jones and Toby Pattemore getting one each. But the prized wicket of Ashmore's Lee Russell (110 not out) was beyond capture and he pretty well put his side in an invincible position. Beaminster's innings, like last week's, was interrupted several times by rain and eventually an amended target of 197 in 29 overs was fixed. But even this reduced overs total could not be reached and the game was called off with Beaminster at 95-2 after 29 overs. Ross Baker top scored with, for the second week running, a score of 52 (this time not out). Lewis Keenan made a valuable 19 in a 47-run opening partnership. In a high-scoring game at Dorchester Beaminster just edged out their high-flying hosts in a thriller of a game to end their losing streak. Deciding to bat first on a sweltering day runs came freely on the good batting surface. The first wicket fell at 71 with Ross Baker adjudged LBW for 41. Fellow opener Chris Park went soon after for 35. Richie Runyard (19) and Lewis Keenan (41) kept the runs coming. All the top seven batsmen made useful scores with Dan Spiller finishing on 40 not out and the side on 269-7. Over 100 runs came in the last 10 overs - a winning blast. Dorchester started poorly losing a cheap wicket but then rebuilt the innings with a century second wicket partnership ended by a run-out. Dorchester kept on scoring well but the balance started to go Beaminster's way when Chris Park came on to bowl and took 3-21 in three overs, including two wickets in two balls. The pendulum was given a hard push in Beaminster's direction by Lewis Keenan's direct throw from the boundary ran out skipper Diffy. When the high-scoring Cole (93) was bowled by Ross Baker the team's tail could not maintain the run rate and eventually Beaminster won by 15 runs. On 4th June the U15s scored a notable victory over Martinstown to become the West Dorset Cup winners for 2017. It was an excellent team performance in a comprehensive win. Batting first, Martinstown were restricted to 68-8 in their 20 overs. In a good all round show of bowling strength wickets were shared by Will Moss (3-8), Ben Leather (2-18), A Moss (2-5) and Fergus Rees (1-13). In reply Beaminster had little difficulty and reached 69-2 in 9.1 overs with Will Moss on 24no and Lewis Keenan with 24. The U15s recorded their second win of the week by comfortably beating their Stalbridge counterparts. Batting first Stalbridge reached 107-5 in their 20 overs. Will Moss (2-16) and Lewis Keenan (2-13) did the damage. In reply Beaminster won with 5 wickets to spare - and again Will Moss (24) and Lewis Keenan were the main men. The U15s excellent cup run came to an end at Hamworthy on Friday 16th June. when they lost by 47 runs in the semi-final of the Dorset Cup. Beaminster won the toss and put the home side in to bat on a flat pitch with long boundaries. They scored well and put on 75 for the first wicket, pressuring the Beaminster fielders with smart running between the wickets. When Tegan Furner came into the attack the run rate slowed somewhat as he broke the opening partnership and then Ben leather took 3 quick wickets. As Hamworthy tried to up the run rate in the latter stages two batsmen were run out but nevertheless Hamworthy scored an impressive 152-6 in 20 overs. Beaminster started poorly with Alex Payne departing in the second over. Although Lewis Keenan continued his remarkable form (50 retired) wickets fell regularly and no big stands were forthcoming. The innings ended on a respectable 105-9 from 20 overs. Hamworthy play Parley in the final. Contrary to the parting shot of Newsletter 184 this edition sets as record by being published one day after its predecessor. Reason? To bring news of the latest matches involving the club's U15 and U13 teams. Both have recently won exciting games in their respective cup games. In a tense exciting game dominated by the bowlers of both sides Beaminster batted first and reached 65-5 in the allotted overs. Top scorers were W Swann (17), A Moss (14) and Tegan Furner (11). This was not exactly a confidence-inspiring total, but it quickly became one after the first over of Cerne Valley's innings. Tegan Furner took three wickets in it to leave the team reeling on 0-3. This quickly became 8-4 with victory scented. Cerne Valley then made a good fightback and reached 62-7, leaving Beaminster the victors by 3 runs. Not surprisingly Tegan Furner was Man of the Match largely on account of his devastating first over. In a tight game against Charlton Down the U15s reached their target of 118 in the penultimate over. Will Moss was the most successful bowler with four wickets and the highest scorers were Lewis Keenan (35 and retired) and Ben Leather with 27no. It's good to see our youth teams competing well against their peers. Good luck in the next games. It's the Bank Holiday weekend but the festive fun did not extend to the Memorial cricket ground as Beaminster suffered the indignity of their third consecutive loss. Only just, but no prizes for the losers. The first fixture against Dorset Indian Tigers (who roam in Broadstone) produced an exciting match with the result in doubt until the final ball. And it was the DITs who triumphed by the miniscule margin of three runs. The game was reduced to 42 overs per side due to the late arrival of the DITs. After sportingly forfeiting the toss the visitors were put into bat and scored briskly and entertainingly without ever getting on top of the bowling. The Beaminster bowlers kept at their task and were all rewarded with wickets. All five took wickets - Nick Hollely had the best figures (3-23), followed by Adam Herring (3-42), Francis Medley (2-42), Rich Runyard (1-17) and Ross Baker (1-50). Beaminster has a good depth of bowling this season with the wickets well shared out. The DITs reached 181 all out, a score that could/should have been somewhat less but for several dropped catches. From the outset of their innings Beaminster went for the runs, with Chris Park scoring freely. After Lewis Keenan went for 12 Rich Runyard came to the crease and shared a 41-run stand with Park. At this point Beaminster looked in command. However a couple of contested LBW decisions that removed Runyard (29) and then Ross Baker (9) altered the balance of the game. The scoring rate dropped even as Park and Leo Gurd (22) put on a 62-run stand. The arrival of the final over saw Beaminster requiring 9 runs to win. They scored six of them and lost out. But it was an exciting game, perhaps the most-so for many a year. We look forward to the return match and to evening the score. After four games it's a little early to read too much into the averages but here are some in any case. No doubt that Chris Park is streets ahead in the batting with a total of 203, for an average of 101.5, which includes two 80+ not out scores. Following on are Ali Crawford with 85 (average 28.3) and Leo Gurd with 46 (average 15.3). The leading wicket taker is Ross Baker with 7 at 20.3, followed by Nick Hollely (4 at 16.5) Ali Crawford (4 at 16.8), Adam Herring (3 at 24.0) and Francis Medley (3 at 25.3). Again, too early to see how the league table will end up, but plenty of indications as to how it might. At 7th position Beaminster are well placed to rise or fall. The next month will say which. The entire Newsletter staff - reporters, editors, sub-editors, typesetters, feature writers, gossip columnists, financial experts, political analysts, etc - is off on his holidays this week to places where the internet fails to reach and there will be no more Newsletters until late June. Quite a lot to report in this issue of the Newsletter. In addition to match reports the opportunity is taken to present summaries of many of the club's activities of recent months. With the season now in full swing all the hard work by players, parents, coaches and committee members is coming into fruition. Many of the activities are new ventures for the club and reflect its confidence for the future. After their big win on the season's opening day Beaminster came back to earth with a crash after a heavy defeat by Kingston Lacey. Put in to bat Beaminster's innings never really took off with high order players getting a good start (Chris Park, 39; Simon Jones, 26; Ali Crawford, 24, Ross Baker,15; Dan Spiller, (23) but failing to go on and make a big score. The lower order players could not make up the deficit and the innings finished in the 44th over on 174. KL won the match with 10 balls to spare and only four wickets down. Their opener D Coghlan carried his bat for 92. Although wicketless Will Moss (9-0-25-0) and Simon Jones (9-4-16-0) bowled economically and kept the run rate down. As the innings progressed however this increased. Wicket takers were Ross Baker (1-42), Ali Crawford (2-41) and Ryan Sweetman (1-10). Keeper Leo Gurd took two smart catches. Another big defeat for Beaminster after being put in to bat. The team's total (99) was never going to be in with a chance. The team never recovered from a disastrous start - the first three batsmen failing to score. In no time at all the score was 61-7. Some late resistance from top scorer NIck Hollely (18), Pete Bustin and Will Moss moved the score towards (but without reaching) respectability. Charlton Down took only 14 overs to win by 7 wickets. Ross Baker (2-34) and Nick Hollely (1-43) took the wickets. This season the club has three youth teams playing in their respective competitions. This is a wonderful situation for the club and promises it a good future as the players develop over the years. The teams have already played several games and the results are summarised below. On May 2nd at Beaminster the team scored 360 but lost to Martinstown Marvels by 36 runs. On 9th May at Cerne Abbas Cerne Valley (281) beat Beaminster by 51 runs. On 20th April at Beaminster, Bridport scored 41-8 in their 15 overs (F Walker 3-4 and T Pattemore 3-6) and were well beaten by Beaminster's 44-1 in seven overs with A Payne top scoring with 21no. On May 2nd in their cup match at Dorchester, Beaminster recorded a solid win by surpassing their host's total (63ao) with 65-2. They're now in the semifinal. A week later (9th May) Beaminster travelled to Bere Regis and won by an almost identical score line: Bere Regis 64ao, Beaminster 65-2. Best bowling figures came from Fergus Rees (3-10) and Will Moss (3-11). Highest scorer was Lewis Keenan with 40no. All the youth players attend training sessions held at the Memorial ground on Saturday mornings from 9am to 10.20am. The club would like more young players to attend - all ages from 8 or 9 to 15 years. 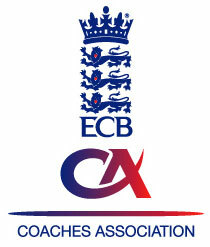 The club has entered into the ECB's All Stars initiative. It is aimed at children from 5-8 years and is intended to introduce the youngsters to the game. A very encouraging 29 children have signed up and their enthusiasm is wonderful to see. The course runs for 8 weeks (from 21st May) and gives basic introduction to batting, bowling and fielding skills. The sessions are T20 influenced, are active and dynamic at all times, and run by the club's own qualified coaches. There is a £40 registration fee and for this each child receives a personalised cricket pack including clothing and cricket equipment. Perhaps the next Beaminster star cricketer will come from this group. Hopefully a good number will go on to play for the club's junior sides. Last Sunday five (5!) of Beaminster's youth players turned out for Dorset West in a county representative game. Ben Leather, Lewis Keenan, Adam Moss and Tegan and Will Swann all performed well and were a credit to themselves, the club and West Dorset. This is a very strong indicator of the club's success in nurturing young players. After last year's successful fundraiser, the club is again holding this marathon match - on Sunday 11th June from 8am to 8pm. This year it will be even better organised with, besides all the cricket, fun activities for all the family, food and drink available all day, raffle, fete games and just a brilliant social occasion for all the club's players and supporters. More volunteers are still needed to help out:- umpires, scorers, raffle donations. First Cricket Newsletter for a while. Which doesn't mean little has been happening in BCC's world. Just that the Newsletter staff have been a bit lazy in reporting all the events. Anyhow, now that the 2017 season has started here's hoping it's a good one for players and supporters alike. In the first game of the season Beaminster scored an impressive away 8-wicket victory against Poole Town 3rds. Put in to bat the hosts never really looked like making a large score and lost wickets at regular intervals to finish on 164-9 after the allotted 45 overs. Seven of the Beaminster team had a bowling spell and five of them shared the wickets. The best figures were returned by Ross Baker whose 3 wickets all came in one over of his second spell. An early contender for the season's champagne moment award. The other wicket takers were Will Moss (2-34), Ali Crawford (2-26), Francis Medley (1-35) and Pete Bustin (1-19). Beaminster's innings started badly with Lewis Keenan suffering the misfortune of being run out without facing a ball. A hard lesson and massive anti-climax to his season's start. Thereafter Chris Park (81 not out, 15 boundaries)) and Ali Crawford (61, 10 boundaries) put on a superb 142-run stand to seal the game for Beaminster. Leo Gurd chipped in with 13 and hit the winning runs. All in all an excellent afternoon and one that inspires not a little confidence for the coming season. This season Beaminster are, as in 2016, playing in County Division 3. Other survivors from last season are Sturminster Marshall, Wimborne and Colehill 3, Dorchester 2, Kingston Lacy and Poole Town 3. New teams this season are Dorset Indian Tigers, Charlton Down and Hamworthy Rec 2 (all promoted from Division 4) and Ashmore (relegated from Division 2). The now traditional memorial game is scheduled for Bank Holiday Monday 28th May. Nick David and Ross Baker are organising teams of yester-year and current players. The 12-hour game, a good success last season, will take place on 11th June. The 6-a-side competition is planned for the August Bank Holiday Monday 28th August. Eight teams will participate. A fund-raising bingo night at Misterton community centre. The one we held in April raised £650 for club funds. There is then lots going on and plenty of opportunity for everyone to join in. As probably everyone knows the club organises monthly waste paper collections in Beaminster. The scheme has been running for many years and has been, and still is, a major fund raiser for the club. Over recent years much of the work has been done by pretty well the same group of people. There is now a need to recruit additional people to help out with this work. The club therefore is asking for volunteers who are prepared to help out as and when required. New volunteers will be asked to stand in when a regular helper is unable to be present, through holiday, ill health etc. Thus the club wishes to build up a list of people who can be brought in to help with, say, about a week's notice. New volunteers would be asked about two or three times a year to help out. Full instructions on the requirements would be given. The work is not arduous. The paper is collected on the first Sunday of each month come rain, hail or shine. It is then taken to Bugler's yard on the Broadwindsor road and put into a skip. The whole process takes about two hours and is normally completed by about 10.30 - 11.00. New volunteers who would be asked to collect the paper should have a vehicle that they do not mind using for such a task. It does not have to be a large: one of the current collection vehicles is a Peugeot 206.